Ty Cunningham's Commercial Property Consultants, Inc. (CPC) provides Commercial Real Estate Sales and Leasing Services in the Central Texas Region. We are currently active in representing Buyers in office, retail, industrial, and multi-family acquisitions, within Texas and nationwide. Recently closed sales transactions include off- market income producing retail properties in Austin and San Antonio ranging from 50,000 square feet to 135,000 square feet. We Broker raw land sites for office, retail, multi-family, subdivision, industrial, airport, Municipal Utility District (MUD), and water Control and Improvement District (WCID) developments. CPC also provides Tenant and Landlord Leasing Representation Services in Office, Retail, and Industrial properties. We have successfully leased office, retail and industrial properties to full occupancy, as well as represent a wide range of tenants, ranging from medical to restaurant specialized uses. CPC joint ventured the renovation of the former headquarters building of the Texas Medical Association (TMA). This was a single user landmark building, built in 1952 located at 1802 North Lamar in Austin, Texas. After purchase and asbestos abatement, a full renovation for multiple tenants, with 100% lease up was completed before sale. Other Consulting, Leasing and Brokerage Services for Austin Office Projects include Centre Creek, 111 Congress, Cielo, Colina, and Westlake Place. Purchased seventy five acres of infill land within four miles of State Capital Complex to develop 380 lot Los Arboles, a successful residential subdivision for a production home builder. 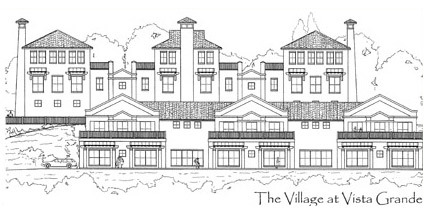 Developed Georgian Place, a residential subdivision and 176 unit Multi-Family Tax Credit Project located in Georgetown. 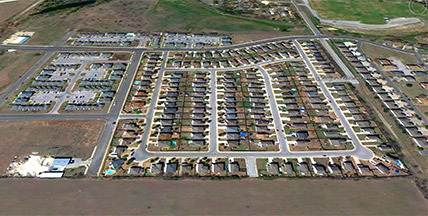 Entitled and sold 200 unit multi-family site Pioneer Crossing located in North Austin.